St Louis Truck Accident Lawyer | The Dysart Law Firm P.C. One out of every eight auto collisions with casualties involves large trucks such as tractor trailers, big rigs, and other commercial vehicles. Most of these injuries and fatalities are inflicted upon the smaller vehicles in the collision, while truck drivers remain unscathed. As the number of trucking accidents continues to rise, not many precautions are being taken to decrease the rates of these accidents. Factoring in the larger sizes of these vehicles, lengthy trips and the temptation of some truck drivers to disobey traffic regulations to meet deadlines, it’s no surprise that collisions involving trucks occur frequently. Truck accidents are complex and the facts of each case are unique. An experienced attorney who is accustomed to handling these types of cases can assist you in handling the insurance company as well as help you seek just compensation for your injuries from the parties responsible for the accident. If you or a loved one has been injured because of the careless actions of a driver, please do not hesitate to contact the Dysart Law Firm and speak with an experienced truck accident lawyer. Truckers are required to get a Commercial Driver’s License (CDL) before getting behind the wheel. In order to get this type of a license, drivers must take a CDL knowledge test. This test can only be passed if drivers have a coherent understanding of driving regulations as well as the skills required to drive a truck. After passing the knowledge test, drivers are given an opportunity to practice driving commercial vehicles under a learning permit. They’re usually assigned a trainer to help them learn how to properly drive the vehicles and inform them of things like maintenance and regulations. However, even with prior knowledge of how to safely operate these vehicles, sometimes truck drivers may ignore regulations and precautions to get to their destinations on time or maximize the number of miles driven. Distracted Driving There are a variety of potential distractions that truck drivers face on the job. Toggling with the GPS, messing with the radio, eating, drinking, and using a cellular device are just some of the activities truckers could be participating in that can distract them from fully concentrating on the road. Truck drivers spend long hours behind the wheel and are prone to getting bored while driving. Unfortunately, their attempts to entertain themselves while on the job could to a catastrophic accident. Driver Fatigue Fatigue is and has always been, a major issue in accidents involving commercial vehicles. It’s such a detrimental factor in trucking collisions that the National Highway Traffic Safety Administration has warned the public of the dangers of driving while tired. Truck drivers travel thousands of miles in short periods of time in order to meet deadlines. If a trucker is behind, they may use some of the hours they should be sleeping to get to their destination on time. Also, some trucking companies pay by the mile, tempting drivers to sleep less and work more to maximize their compensation. Maintenance Issues There are federal regulations that require commercial vehicles to be maintained often so that they stay in mint condition. Failure to properly maintain vehicle parts and other features can result in the vehicles not working properly and causing a crash. It’s the responsibility of truck companies to adhere to the rules surrounding routine maintenance of things like a vehicle’s brakes, tires, engine and any other component that may cause issues on the road. If a company is not keeping up with maintenance on its vehicles and this failure results in an accident, the company may be on the hook for damages. Oftentimes, trucking companies are inclined to put drivers behind the wheel of commercial vehicles immediately after the drivers have taken their trucking courses. However, some drivers may need more practice before driving a massive, potentially dangerous truck on the roadways. Companies usually opt to hire inexperienced drivers because they can generally pay them less than their more seasoned counterparts. Unfortunately, the more these companies put inexperienced drivers on the road, the more likely they are to be involved in an accident and seriously harm or kill someone. Who can be held responsible for injuries in a truck accident case will depend on the facts and circumstances of the case. Victims who have been harmed in an accident as a result of the negligence of a truck driver may be entitled to damages for the harms that they’ve suffered. Damages in personal injury cases are usually broken up into two categories: economic damages and non-economic damages. 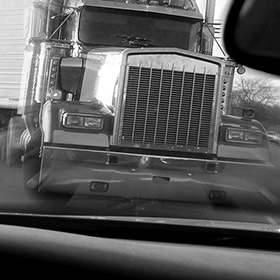 This category deals with the tangible losses suffered by the victim of a truck accident. The compensation awarded can be for either past losses as well as future losses or expenses that an individual may have as a result of the accident. These losses experienced by the plaintiff are intangible, which makes assigning a dollar amount to them more complicated. To show this type of loss, lawyers representing the plaintiff must demonstrate how the accident affected the victim’s mental or emotional state. States can, and have, passed laws limiting the number of damages that a plaintiff can receive in a particular type of case. These laws are called damage caps. Currently, Missouri has not implemented any boundaries on the damages that victims of negligence can collect. At the Dysart Law Firm, we have the resources and knowledge necessary to help our clients hold the negligent truck drivers liable for their careless actions. If you or a loved one has been harmed, contact the Dysart Law Firm today for a free case evaluation by an experienced truck accident lawyer. Call us at (888) 586-7041 or contact us online by filling out our contact form.